Of course you want to collect every dollar you are owed. Legal nurse consultants will agree that the majority of attorneys are wonderful to work with – intelligent and concerned about their clients. This podcast focuses on the small number who are difficult to work with because of collection problems. Whenever you have legal vendors, and not just legal nurse consultants, gathered together, inevitably the conversation will turn to a discussion of the attorneys who are bad payers. In this session Pat shares lessons learned the hard way. When you avoid the trouble, you’ll collect every dollar you are owed. Attorneys are sharp negotiators. That is what they do for a living. Ramp up your negotiation skills with the 3 online trainings that are part of the Negotiating Value Pack. Get these on demand programs to ramp up your negotiation skills so that you will come out on top in your negotiations with attorneys. Pat collaborated with Greg Williams, an expert in negotiation and body language. Greg teaches executives, small business owners and managers to employ these techniques. Learn them to help you in your LNC business. 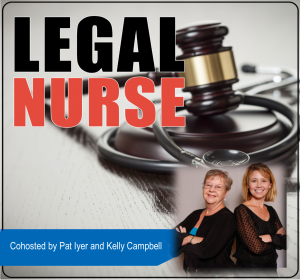 Pat Iyer has negotiated with many attorneys over the course of her almost 30 years of experience as a legal nurse consultant. She’d like to say she came out on top every time. That would not be true. She got better and better at listening to angry attorneys and learned how to deflect their wrath and reach acceptable solutions. Listen to her experience and you will have much higher success as you collect every dollar you are owed.